Are you happier now that you're not involved in journalism? I don’t think I’ll ever not be involved in journalism. I’ve been a proud member of the National Union of Journalists for almost 40 years now, which qualifies me for life membership. While it’s no longer my main source of income, I will never stop following news and current affairs – and having my indirect input. Journalism is a great training for creative writing- from the research to the discipline of deadlines. All my creative writing has underlying journalism. You appear to be very busy - what with directing,writing, activismand many other things. How do you get time to write? I’ve a wide portfolio – I’m not doing all these different disciplines at the same time. I love the flexibility of my world- the last year has been a serious period of solitary writing followed by the current PR and publicity tour, and my involvement with Literary Ladies complements this. That followed two years with a lot of theatre work and the coming months look to be rich in community possibilities- another core ethic of my practice. I was born and raised an ‘issues person’ - not my description!- and involvement in neighbourhood environmental work, trade unionism, perceived miscarriages of justice, integrated all ability education, and more, is simply part of life. I think writers are always writing in their head and some of my breakthroughs and inspiration come when I’m doing something unrelated. It’s only for the first and subsequent drafts for a deadline that writing has to take over. This is your 21st published work - would you say it's your best? Why is your book called 'Tombstones Lie an Imagined Memoir'? An obvious question but why 'an Imagined Memoir'? Does it really fall into the category of Memoir if it's imagined? 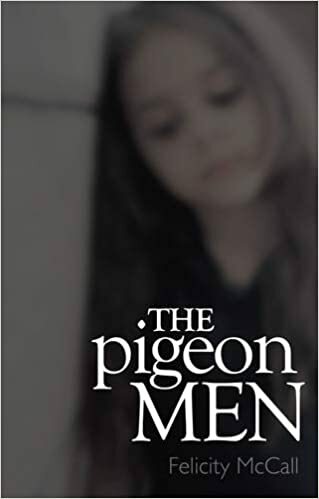 It was difficult to define a genre- earlier drafts had incarnations as a short story for a collection, and a novella- it’s a mixture of genealogical research, social history, and the impact of the journey on myself as well as three other lives. I’ve called it ‘imagined memoir’ because I could only direct my questions to the women I’d never met and try to build an emotionally honest account of their life. Is this work intended for Adults? Do you find it difficult to make a living from writing? Do you think you will ever get tired writing? Write. Just do it. However stream of consciousness, or raw, get it on the page. Try to write something every day. Engage with writers’ groups and centres until you find one that offers non judgmental feedback and support. Never give up. Don’t let rejection deter you. Are you still and an Irish Executive of the National Union of Journalists? I’ll be a lifelong NUJ member and while I don’t anticipate serving again on the Irish Executive, it was a wonderful experience and good to be the first woman jobshare Cathaoirleach. I’m Grievance officer with the active Derry and NW branch. And I organise the buns. Journalism is tough now- it’s all about supporting those coming after. You have had two Meyer Whitworth nominations how does that make you feel? You are an activist a journalist a playwrite and novelist besides being a mother how do you fit all of this in? 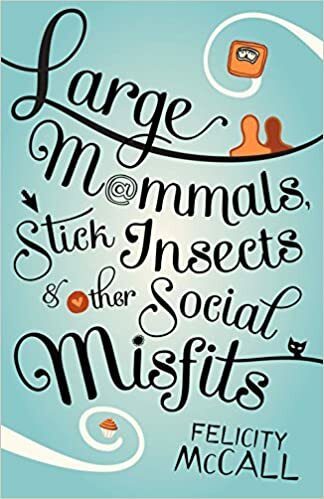 book 'The Pigeon Men' was rather dark and 'Large Mammals, Stick Insects and Other Social Misfits' was more of a teen fiction. How do you manage to switch genres so easily? I don’t have a genre. Every writing project is different. A substantial amount of it has been inspired by people and areas I’ve been involved in in other areas of life- bereavement by suicide, childhood sexual abuse, alcohol and drug addiction and I like to think that rather than concentrating on the darker aspects, I’ve helped to give a voice to the voiceless. Writer’s Digest has been shining a spotlight on up and coming writers in all genres through its Annual Writing Competition for more than 80 years. Enter our 88th Annual Writing Competition for your chance to win and have your work be seen by editors and agents! Almost 500 winners will be chosen. The top winning entries of this writing contest will also be on display in the 88th Annual Writer’s Digest Competition Collection. The Grand Prize winning piece and the 1st place winning piece in each category will be published in the 88th Annual Writer’s Digest Annual Writing Competition Collection. All other top winners will have their names listed in Writer’s Digest, on WritersDigest.com and in the 88th Annual Writer’s Digest Annual Writing Competition Collection. Their names listed in the 88th Annual Writer’s Digest Annual Writing Competition Collection. Your entry must be original, in English, unpublished* and unproduced, not accepted by any other publisher or producer at the time of submission. Writer’s Digest retains one-time nonexclusive publication rights to the Grand Prize and First Place winning entries in each category to be published in a Writer’s Digest publication. * Entries in the Print or Online Article category may be previously published. Any piece posted online, anywhere other than a personal blog, is considered published. For poetry, poems posted online to poets’ personal blogs, social media accounts, or online forums (like the comments on the Poetic Asides blog) are eligible. Anything posted online by a third party is considered to be published. Due to U.S. Government restrictions we are unable to accept entries from Syria, Iran, North Korea, or Crimea. Click here for the offline entry form. Momaya Press’s Short Story Competition is open to writers of any nationality writing in English and offers the opportunity for winners to be published in the Momaya Short Story Review 2019. In addition, 7 honourable mentions will be chosen for publication, as well as any stories which placed in our top 30 and fit our chosen theme for the year. All winners will be published in the Momaya Short Story Review 2019. Copyright of published stories remains with the author. The judges’ verdict is final. No correspondence will be entered into once work has been submitted. Stories cannot be altered or changed after they have been entered. Any story submitted may be published in the Momaya Short Story Review 2019, whether or not they have won. “Trading Places” is the theme for the Momaya Short Story Competition 2019. While entries for the Momaya Competition may be on any topic and are judged on their own merit, the judges will select additional stories for publication based on their treatment of the “Coming of Age” theme. You could tackle this theme literally (think the switch at birth in “The Prince and the Pauper” by Mark Twain, or the heroic act of Sydney Carton taking the place of Charles Darnay on the guillotine in “The Tale of Two Cities” by Charles Dickens). Alternatively, you could show what happens when someone gets to live the life they should want (think Tom Ripley ingratiating himself with Dickie Greenleaf in “The Talented Mr. Ripley” by Patricia Highsmith or Eddie Murphy getting to live the high life in the film “Trading Places”). Does trading places make your protagonist feel fulfilled? Does it come at an emotional or moral cost – or benefit? How does it affect the other people in their lives? We look forward to hearing your own unique take on this theme. We are accepting entries now until the competition ends on 30 April 2019. Step One: Fill out and Submit the form below. If for any reason you have difficulty with submitting your story using our form, you may also send us the story and information in an email. Step Two: Complete payment. The submission fee per story is £11 (about US$15). This will complete the submission process for your story to the Momaya Short Story Competition. Deadline is Sunday 2 June 2019. For more information and how to submit, please click here. 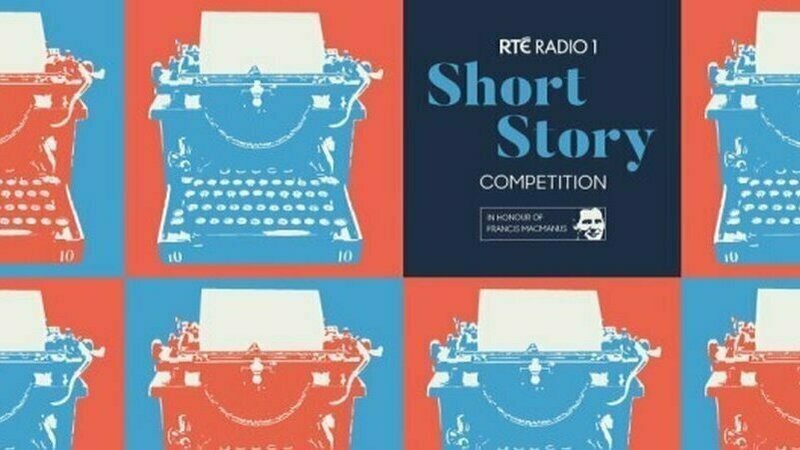 RTÉ Radio 1 has today invited short story submissions for one of Ireland’s longest established and most significant literary prizes, the RTÉ Radio 1 Short Story Competition in honour of Francis MacManus. Judging the entries this year are bestselling author Liz Nugent, RTÉ Arts and Media correspondent and author Sinead Crowley, and Declan Meade of The Stinging Fly. Writers will have three months to get their submissions in, with a closing date of Friday May 10th. The White Review Short Story Prize is an annual short story competition for emerging writers. Established with support from a Jerwood Charitable Foundation Small Grant in 2013, the prize awards £2,500 to the best piece of short fiction by a writer resident in Britain & Ireland who has yet to secure a publishing deal. Previous winners are Claire-Louise Bennett, Ruby Cowling, Owen Booth, Sophie Mackintosh and Nicole Flattery. They have gone on to secure publishing deals with Hamish Hamilton, Fitzcarraldo Editions, Fourth Estate and The Stinging Fly. The 2018 winner Julia Armfield recently secured a book deal with Picador to publish her first collection of short stories, SALT SLOW, in May 2019. This year, the prize will be judged by Chris Power, Sophie Scard and Michal Shavit. The judges will be looking for short stories that explore and expand the possibilities of the form. We encourage submissions from all literary genres, and there are no restrictions on theme or subject matter. We would only emphasise that the prize was founded to reward ambitious, imaginative and innovative approaches to creative writing. THE WHITE REVIEW will offer 50 free entries to writers on low incomes. If you are a low-income writer and would like to apply for free entry, please read the additional low-income entry guidelines below. In 2018, the prize was judged by by novelist Chloe Aridjis, novelist Sam Byers, editor Anne Meadows, agent Sophie Scard, and The White Review editor Željka Marošević. It was won by Julia Armfield for ‘The Great Awake’. Chris Power lives and works in London. His ‘Brief Survey of the Short Story’ has appeared in the GUARDIAN since 2007. His fiction has been published in THE STINGING FLY, THE DUBLIN REVIEW and THE WHITE REVIEW. His first book,MOTHERS, was published by Faber in 2018. Sophie Scard is an agent at United Agents. Michal Shavit is Publishing Director at Jonathan Cape. The deadline for submissions is: 17:00 4 March 2019. No entries will be considered if submitted after 17:00 on 4 March 2019 (GMT/EST). The shortlist will be announced in April. The winner will be announced at a party in London in May. For any queries not covered below, please email: editors@thewhitereview.org. THE WHITE REVIEW is offering free entry to the Prize for up to 50 low-income writers. If you are a low-income writer and would like to apply for free entry, please follow the below application guidelines. We will receive applications for free entries until 24 January 2019. THE WHITE REVIEW will grant eligible applicants free entry on a first come first-served basis. Prize: €2,000 for a short story. Please include the word count at the end of your entry. This Competition may be entered online. Please ensure that your identification does not appear anywhere on the entry or it may result in disqualification. 6-12 individual poems or an equivalent long single poem which may be in sections or form a sequence. The competition is open only to those who have not published a complete collection of poetry. Individual pieces from the submitted collection may have received prior publication but not received an award. Plays submitted should be for stage presentation only. They must NOT have been previously staged. Plays can be submitted only once for this competition. Please include the word count at the end of the Humorous Essay entries. Full details of all competitions available here. Following its launch by Scottish Makar Jackie Kay on 14th September 2018, the 2018/19 competition is now open for entries. The lead judge for the 2018/19 competition is the distinguished columnist and broadcaster Ruth Wishart. The competitions for short story and poetry are open to writers worldwide writing in either English or Scots. All sections of the competition ask writers to base their writing on a theme, which is usually a quote from a work by Neil Gunn. Entry fee for the adult sections is £8 per entry. Copyright will remain with the The organisers reserve the right to publish a collection of winning and commended entries. Winners will be required to supply an electronic copy (in pdf format) of their entries for publication on the High Life Highland websitewww.highlifehighland.com. Early submission is The last date for acceptance of entries is Friday 08 March 2019.